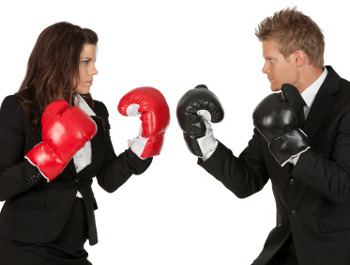 In too many companies, Sales and Marketing fight like Capulets and Montagues. Sales people allege that the marketers are out of touch with what customers really want and they set the prices too high. On the other hand, Marketers accuse the sales people of being myopic on individual customers and focused at short-term sales at the expense of long-term gains. The end result is – Poor co-ordination between two teams – which raises market entry costs, lengthens sales cycles and increases costs of sales. How to get your Sales and Marketing teams to start working together? Experts recommend alignment of sales and marketing through frequent cross-functional communication and integration of the two teams by giving them shared performance matrix and rewards and by involving the marketers in managing the key accounts. Team SalesTrendz achieved such alignment and integration of Sales and Marketing teams in case of a leading brand in consumer durables by way of a cloud based sales and branding solution for the entire customer facing operations. This demonstrated how the concepts of strategic marketing can be successfully implemented through innovative mobile applications resulting into sustainable tangible gains for the leading brands.